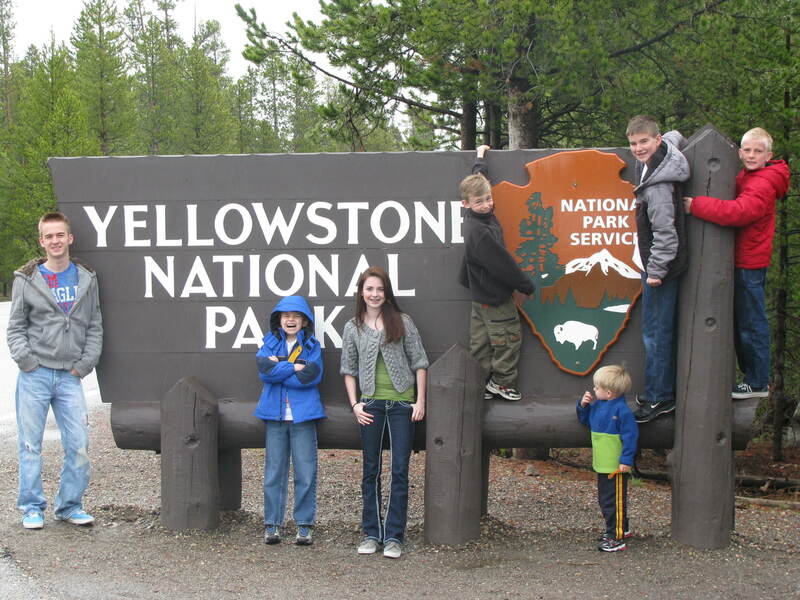 Our family loves Yellowstone. Score! It is difficult to find something that entertains a high schooler, a middle schooler, elementary student, and a preschooler. On this trip we traveled with the cousins. We love them! The cousins have parents. "One of the things is not like the other." One of the parents is tall. The other parents are 5'4" and under. Hint: I'm not married to the tall one. 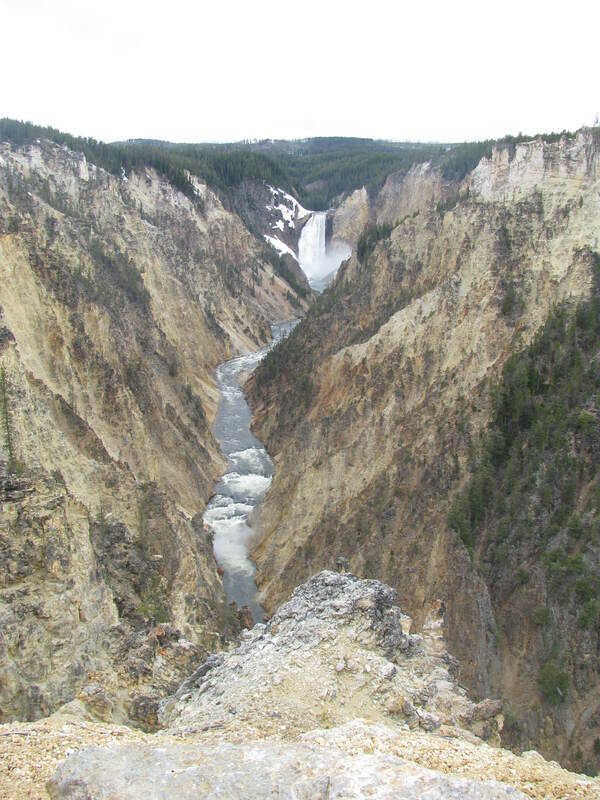 Yellowstone is very cold in June. Very cold. We were caught in several snowstorms. 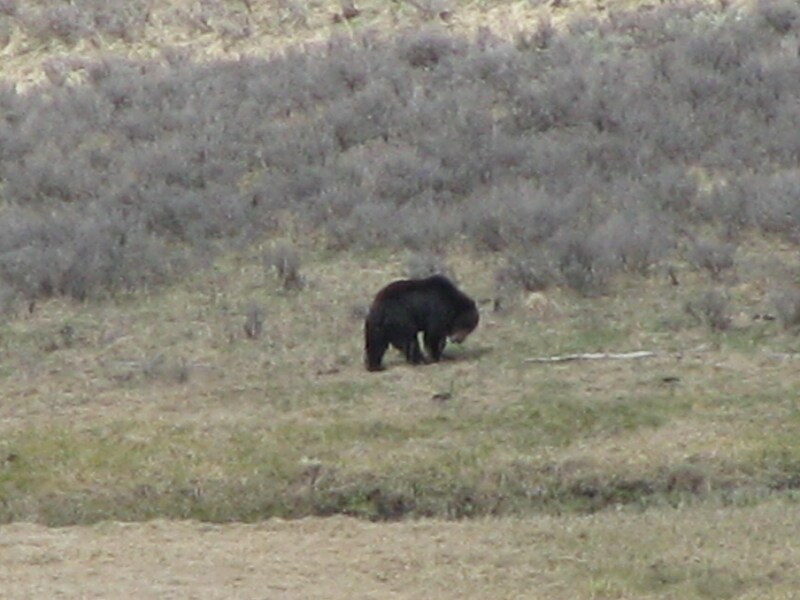 I was so excited to see my first bear in the wild! It took crossing a well-traveled road, walking about a mile while carrying a heavy 3-year-old, standing on a hill in the frigid wind, and zooming my camera as far as I could make it go. My sis-in-law was very impressed with my camera's zoom because we were about a million miles away. After bear hunting I carried the 3-year-old down the road again. I slipped, saving my child and the camera, but my knee took the hit. Darn Bear! 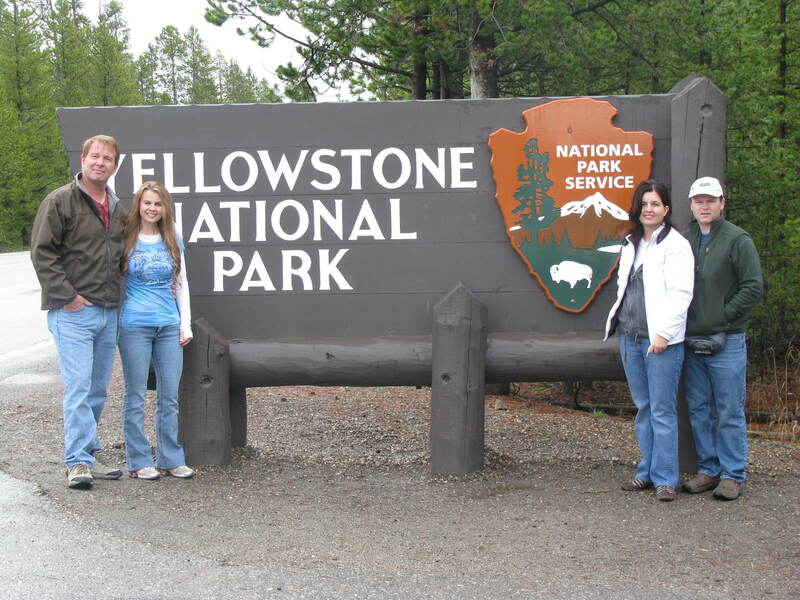 I haven't been to Yellowstone for a very, very long time, but I remember the beauty! 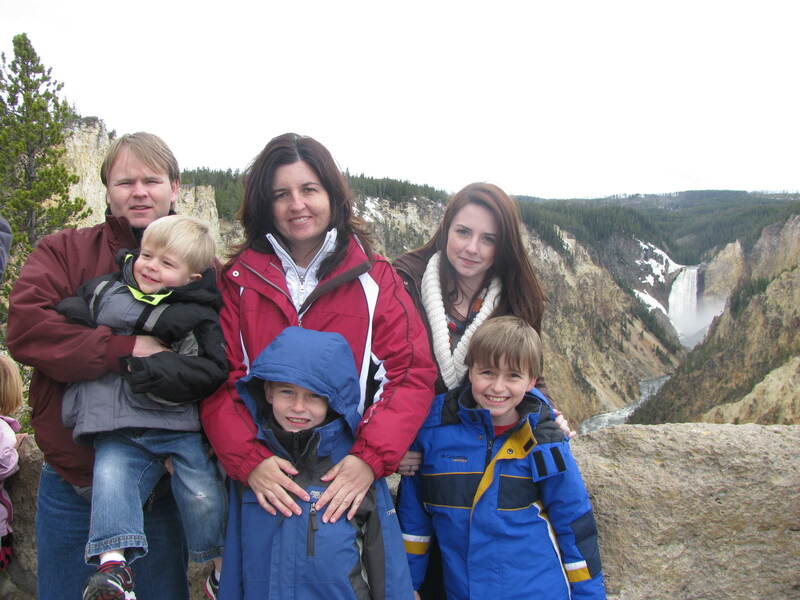 No Old Faithful photos? I hate going to place that are freezing cold in the summer! 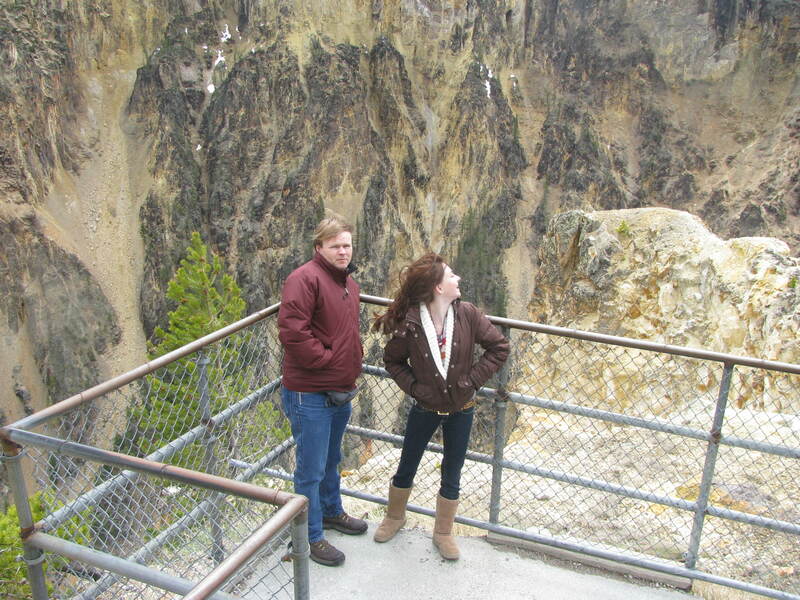 I love love love Yellowstone. Take us next time!